David Lappin was the last Team Unibet ambassador and the last few hours had not been as kind to him. Over on the feature table, his stack had tumbled down to just 58,000 and he jammed on the button, Benny Glaser called in the big blind. The :::4h:::3c:::2h flop gave Glaser a gutshot and the :::Jd turn changed nothing just yet. 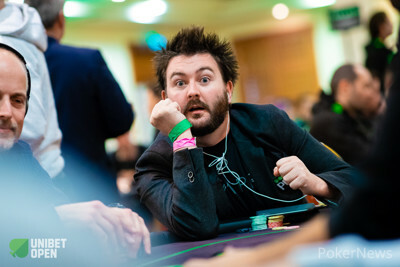 However, the :::Ac fell on the river and that ended the dream of Lappin to win a Unibet Open Main Event title on home soil.